According to the latest Boiler Guide press release, reinstating the Boiler Scrappage Scheme in England will help homeowners cut their fuel bills. Boiler Guide is backing the Heating and Hotwater Industry Council (HHIC) who are calling on the Government to reinstate the boiler scrappage scheme in England, which last year saw more than 118,000 old and energy inefficient boilers scrapped in favour of new A-rated energy efficient models. The incentive proved a runaway success last year, encouraging 61% of homeowners to replace their old boiler as a direct result of the scheme, enabling them to make their homes more energy efficient, saving money and reducing greenhouse gas emissions in the process. Of the boilers replaced, 51% of them were over 25 years old and with energy bills at an all-time high, the need to become more energy efficient is growing in awareness amongst homeowners. Reintroducing the boiler scrappage scheme would be a productive way to help householders in their battle to save money as energy bills continue to rise. David Holmes, founder of Boiler Guide says: “Saving energy means saving money and one very effective way to do that is to replace your old energy-sapping boiler for a brand new energy efficient model. “Unfortunately during these increasing tough economic times, many homeowners simply cannot afford the initial upfront costs needed to install a new boiler. And that’s why schemes like this are worth their weight in gold. 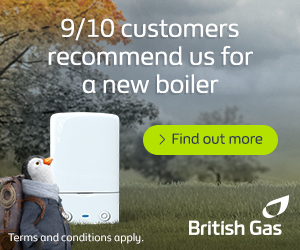 As the UK’s leading online resource of boiler and central heating installers, whether your boiler needs repairing or if you’re looking to install a brand new boiler, Boiler Guide is the go to place to help you source boiler quotes from recommended installers and heating engineers.